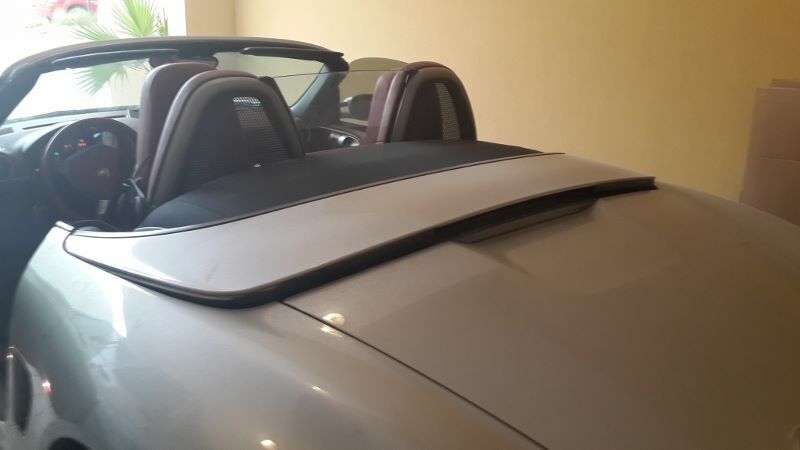 As can be seen by picture 1 my soft top retracts to approx. 1" from closure when opening the roof, the information system thinks the roof is fully opened, however it will not close that last 1". 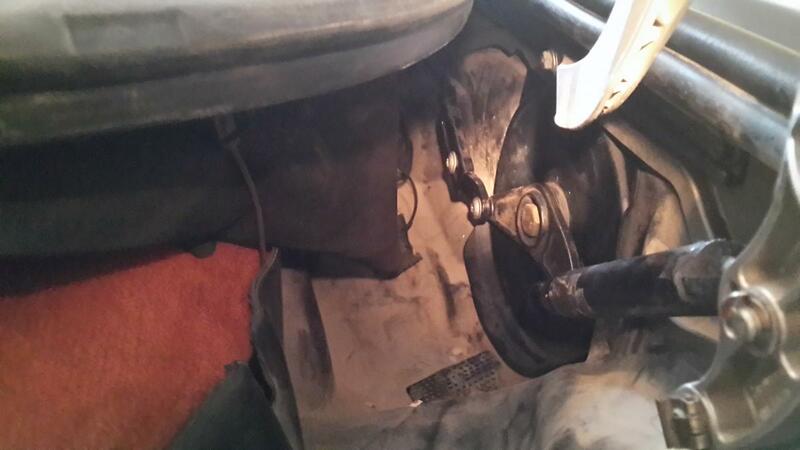 I've put the car in to a local specialist who diagnosed that I needed to replace both transmissions, push rods, etc. However upon me inspecting these parts tonight (pictures 2, 3, 4 & 5) there appears to be no kinks / bends or snapped parts of the rods and the transmissions appear to be fully moving open and closed as indicated by the information system. The cable is in place (picture 6) and I'm loathe to spend a small fortune when it appears that this issue could be rectified by some minor adjustments or am I just being over optimistic? If anybody has any suggestions as to what I can try to rectify and / or fault find this issue it would be greatly appreciated. 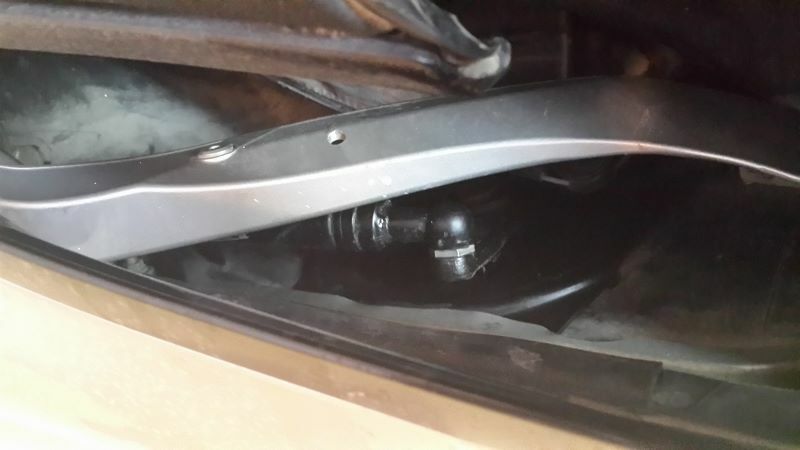 Although the photos you have provided are not that clear, it appears that your black "hydraulic" pushrods, your front pushrods and plastic ball cups, your V-levers and your drive cables appear to be intact, contrary to what your dealer is suggesting. How did this problem first manifest itself? Did it appear suddenly or did it develop over time? Hi Maurice, sorry for the quality of the pictures and it does appear everything is in place and not broken. the last time I used the roof was back in April before the temperatures soar up to 45+. that is required on the pushrods / v levers to pull the roof down that final inch? I've also checked to see if any of the roof fabric is being caught / fowling in any place and I can't see anything like this either. if I thought it would rectify this issue, however I don't think the transmissions are at fault because they are easily closing the roof. to ensure these rods are set the same settings however since the roof doesn't appear to be squint I don't think this will help me? suggested I change all these parts which are clearly fine at great expense. 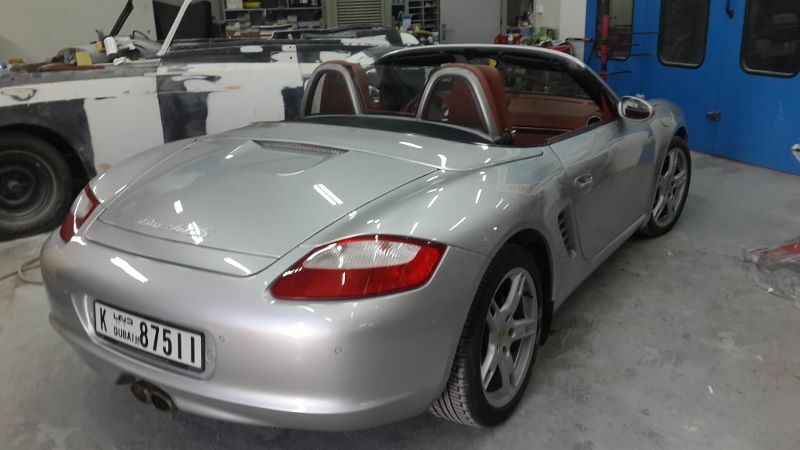 I am much more familiar with the two versions of the transmissions and set-ups of the 986's, but I believe that the 2005 Boxster is similar (if not identical) in design with the B Version transmissions of the later 986's. First double check that the steel ball at the lower end of each body-colored clamshell support arm is firmly pressed into its respective black plastic slider and that there is nothing restricting the movement of each of the two (one on each side) black plastic sliders in their respective metal channels, especially at the ends of the each channel. If those are okay, you have to investigate further. 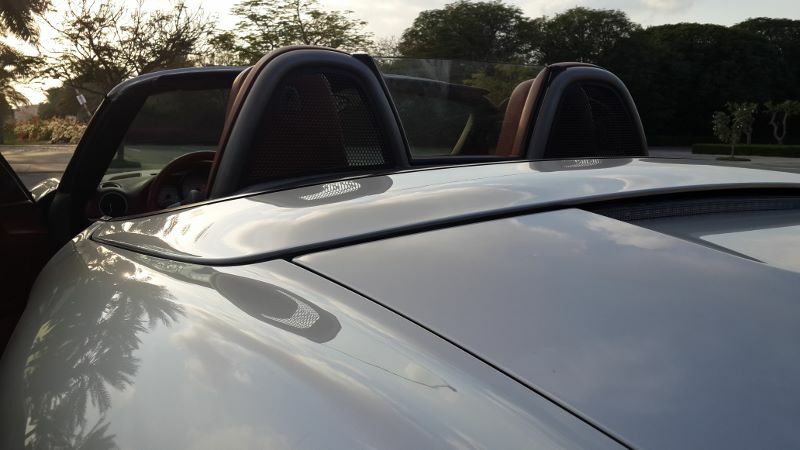 Since your clamshell is not closing down flush with the surrounding panels (and you have presumably now determined that the clamshell support arms are okay), it sounds like the signal to your convertible top relay to turn off the electric motor is being sent a split second too early. Once that signal is sent, the power to the electric motor is cut off, the transmissions stop turning the V-levers and the clamshell (and the canvas top) stop moving. If the system is like that in the B-version transmission and set-up of the later 986's, there are two sensors INSIDE the driver's side (left side in U.S.) transmission. 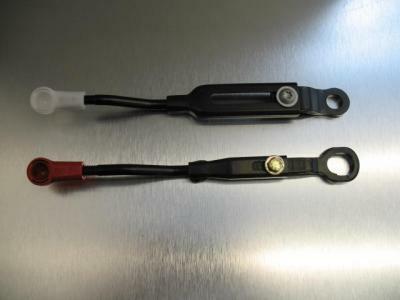 One of them replaced the B-Pillar microswitch in the early 986's and the other replaced the black lever microswitch that was located on top of the electric motor. 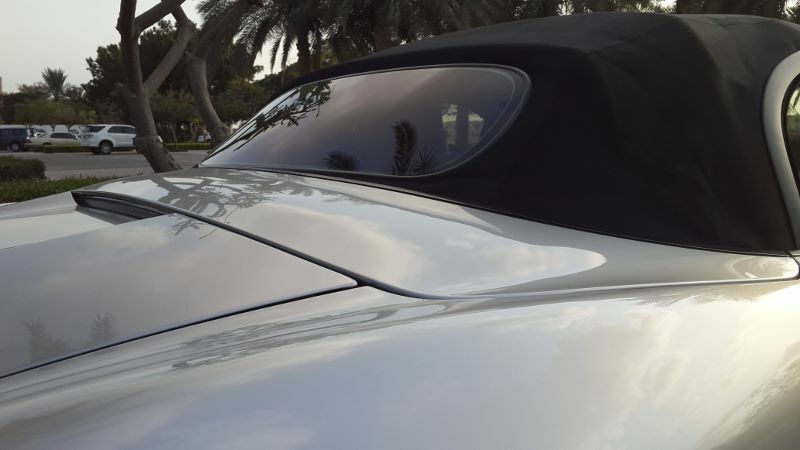 The clamshell would press down on that black lever microswitch and, following what Porsche called an "after-running time" that microswitch would cut off power to the electric motor and turn off the "convertible top open" light on the dashboard. 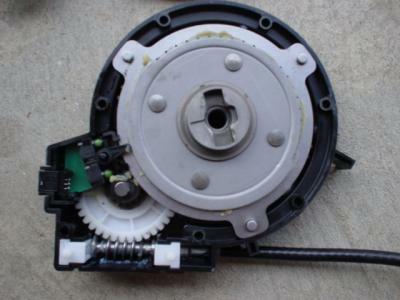 The microswitch inside the driver's side transmission that replaced the B-lever microswitch is the one that you will have to determine whether it is faulty or not. 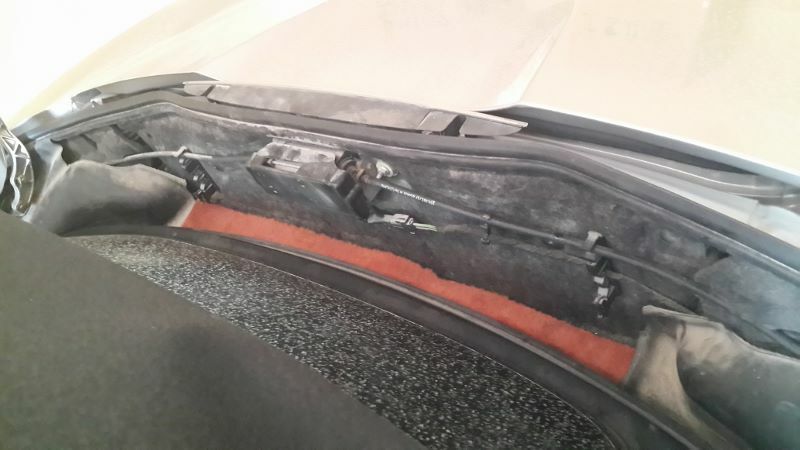 Note that the procedure is for 986's but that it should be similar or identical for removing a 987 transmission. If you can get your hands on a driver's side transmission that is known to be good, you could test this diagnosis by swapping it out temporarily with the one in your car. Maurice, many thanks for the feedback. I'll get on to this over my wknd, just a quick question if found faulty can the microswitch in the drivers side transmission be replaced or do I require to replace the entire transmission? I'll let you know how my investigations go. Porsche does not sell the microswitch apart from the full transmission but you may be able to find another source for the microswitch. 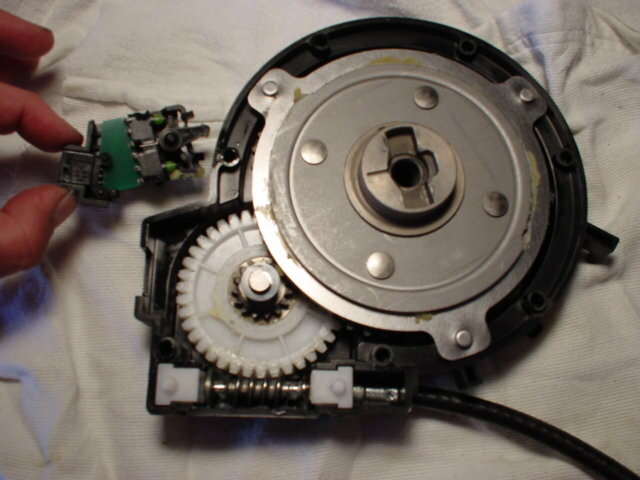 Once you open it up you may find that whatever little part it is that trips that microswitch may have broken off or come loose or moved from its original location such that it causes the cut off of power to the electric motor a second too soon. 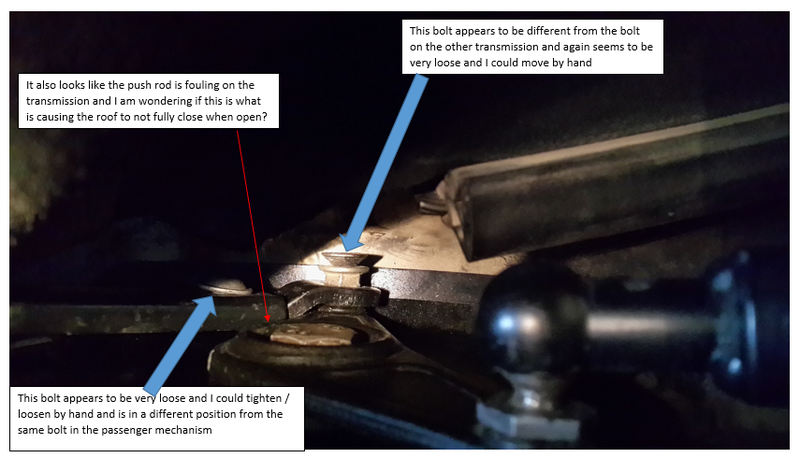 Along the lines of a component of the convertible top mechanism being broken, is it possible that one (or both) of your black "hydraulic" pushrods is broken and that it may not be apparent from a visual inspection? 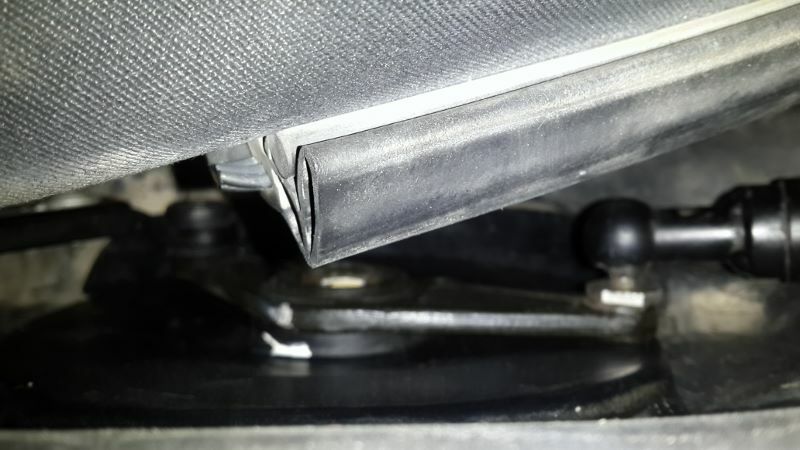 Each black "hydraulic" pushrod is actually a hollow tube with a very large spring inside, and its function is to exert pulling pressure on the clamshell to keep it locked down tight when the top is either all the way open or all the way closed. I'm just thinking that if the springs are broken inside that might prevent the black pushrod from pulling the clamshell down tight. Just a thought about something to look at before delving into the transmission. BTW, does the clamshell now not go all the way down flush when the top is all the way up and latched closed? Keep us posted with the outcome. Hi Maurice, I spent a bit of time checking the pushrods, etc as you suggested before taking out the drivers side transmission and I have found that there appears to be a very strange bolt fitted to the control lever on the transmission and also the bolt on the push rod appears to be loose as I was able to move this by hand and this bolt also appears to be at a different spacing from the same bolt on the passenger side push rod. 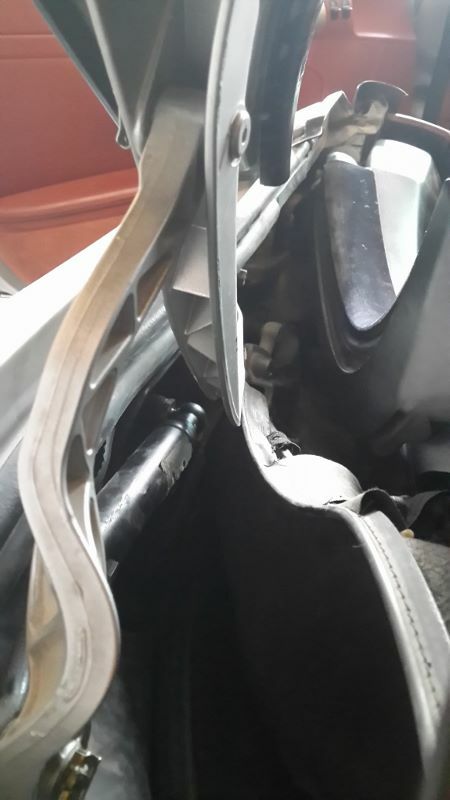 I've attached some pictures with comments showing what I have found tonight between the driver & passenger side mechanisms. It also appears that the push rod maybe fouling on the control lever and this maybe stopping the roof from fully closing. To answer your question the roof closes perfectly fine with no issues, its just the last 1" when opening the roof appears to be the issue. 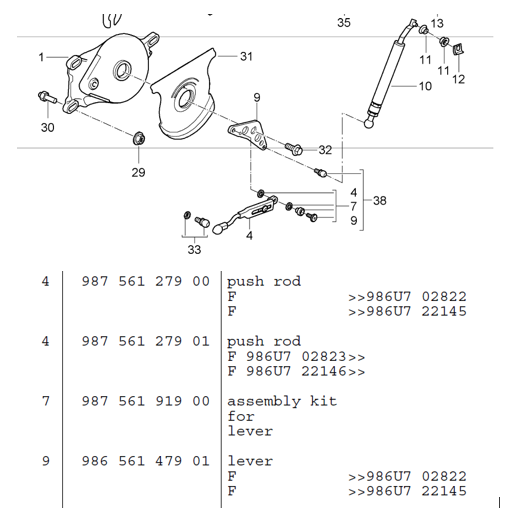 Looking at the parts list (picture attached) it appears that I need to order item no 7 (part no 987-561-919-00 Assembly Kit) and possibly a new push rod Item 4 (Part no 987-561-279-00 / 01) for the drivers side in case this is slightly bent and is fouling on the control lever and replace these item's and adjust the bolt on the push rod to the same as the other side and see what happens? Excellent photo with notes... It makes it much easier to see what may be going on. I think you may have found the problem, as the front pushrod, which is made up of two separate metal parts (they move closer or further apart from each other in order to adjust the overall length of the pushrod) appears to be completely pushed together such that the overlapping part may be getting jammed against the circular protrusion near the center of the V-lever. That would lock and stop the V-lever from rotating that last few degrees and that would result in the clamshell not being pulled completely down. 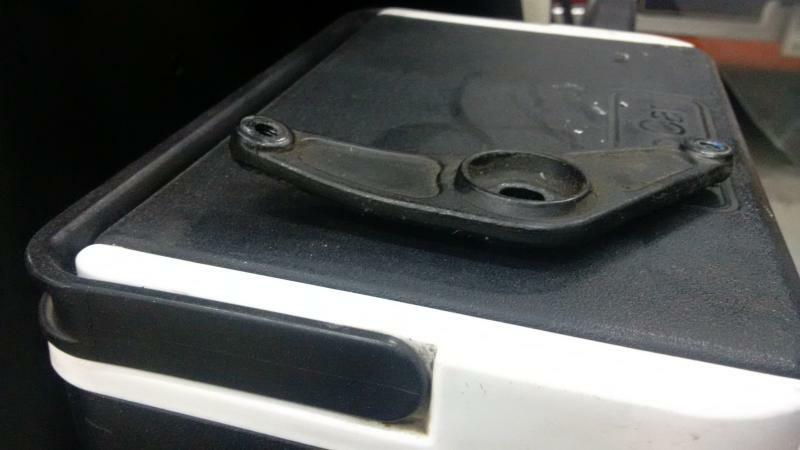 Normally, the front pushrod, which is supposed to be held together with a 10mm bolt with a fat washer, is pulled apart enough such that the non-overlapping part is long enough to not interfere with the V-lever. 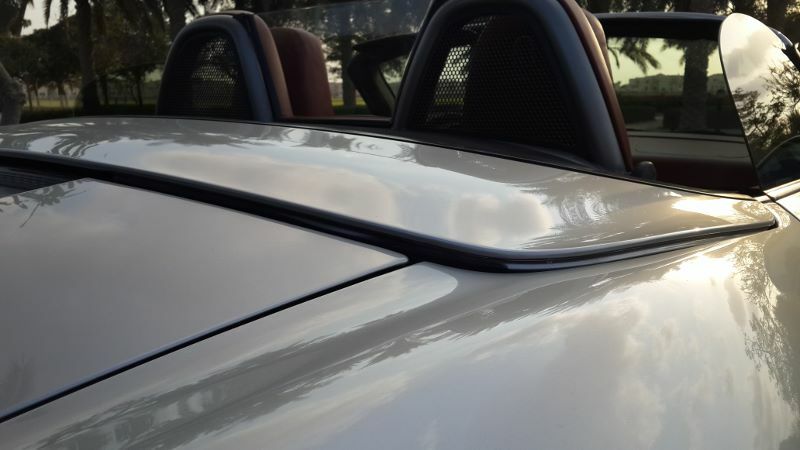 The overall length of the front pushrods affect how the leading edge of the convertible top lines up with the top horizontal part of the windshield frame. 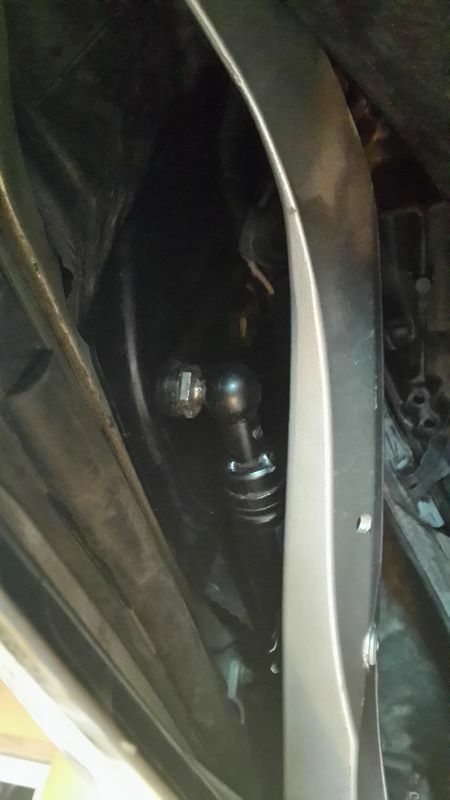 I think that it's also possible that either one or both parts of your front pushrod is bent and/or that that side of the V-lever is bent. Although the V-lever is cast iron and ribbed, the electric motor and transmissions are powerful enough to bend the V-lever. You may just be able to straighten either one of them or both out so that you don't get that interference. Yours may not be that bad, but out of line enough to cause the pushrod to get hung up. Also, make sure that the 19mm bolt in the center of each V-lever is tightened securely as that could cause some wobble. If you have to remove the V-lever, note that the 19mm bolt in the center of the V-lever is on with loctite from the factory. 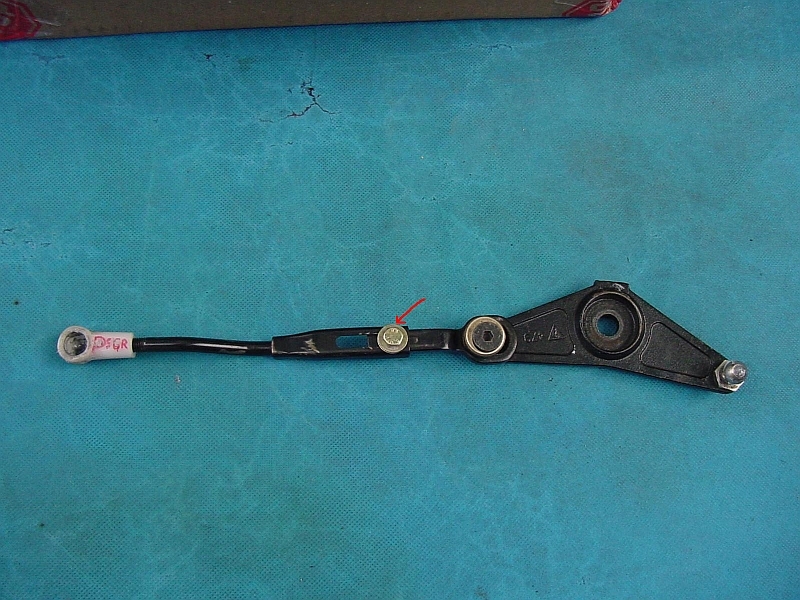 The torque value to re-install it is in the write-up I linked for you earlier. 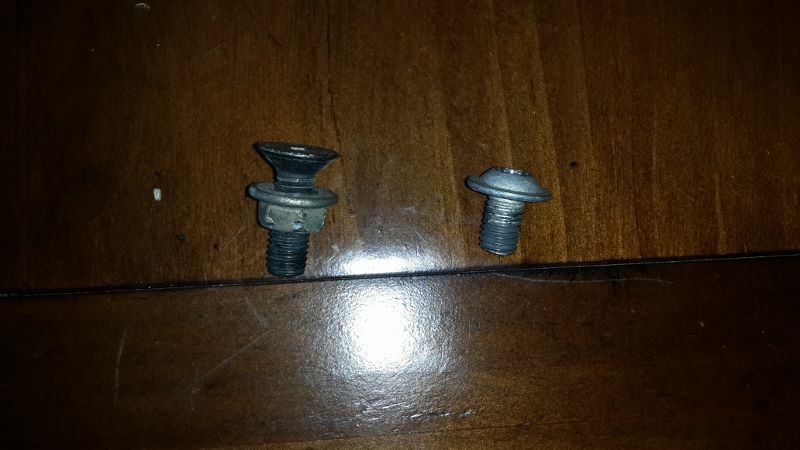 You should replace the loose or incorrect screw(s) with the correct ones and tighten them securely. If those parts wobble they can get hung up on the V-lever. and see if this fixes' the roof issue. Sounds good. Looking forward to the update as it may help pinpoint that type of problem for other members in the future. If you do end up removing one (or both) of the V-lever(s), remember to take plenty of photographs before unbolting each from its transmission and note that it is possible to install a V-lever in two positions: the correct orientation and 180 degrees off. 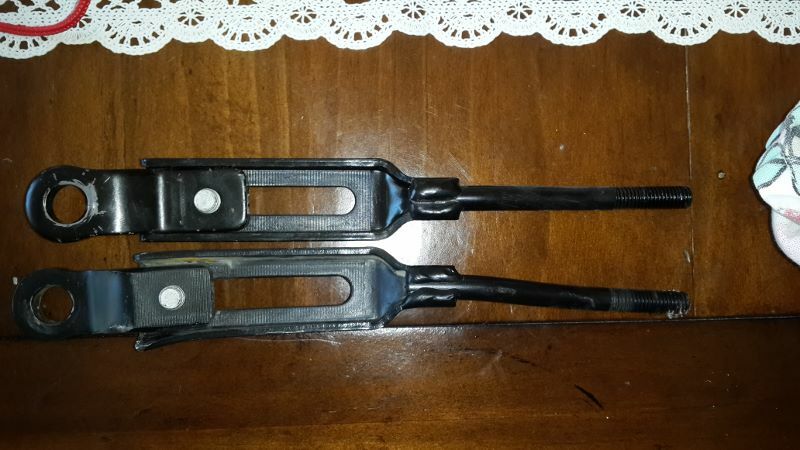 Hi Maurice, I finally received the new hardware to replace the "home made" hardware for attaching the push rod's to the levers as per the attached pictures, I also ordered 2 x new push rods as well. Having removed the old push rods it was clear that there was some serious distortion / bending of these parts as indicated in the attached picture. 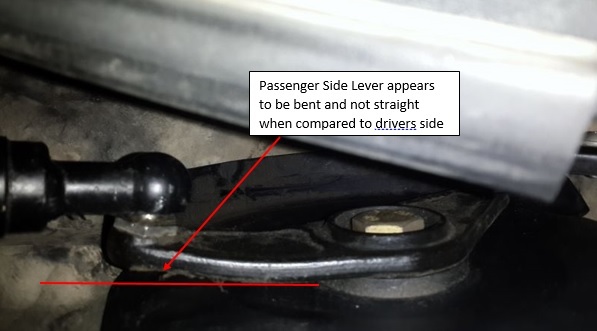 Upon fitment of the new hardware and push rods it became apparent that the passenger side lever is completely bent out of shape when compared to the Drivers side lever as indicated in the attached pictures. I've also seen part numbers 179 01 and 180 01 as well. I just want to make sure before I spend $$$ (still cheaper than buying from the dealer) on the internet that I am ordering the correct parts, I will try to obtain just a lever in the meantime. 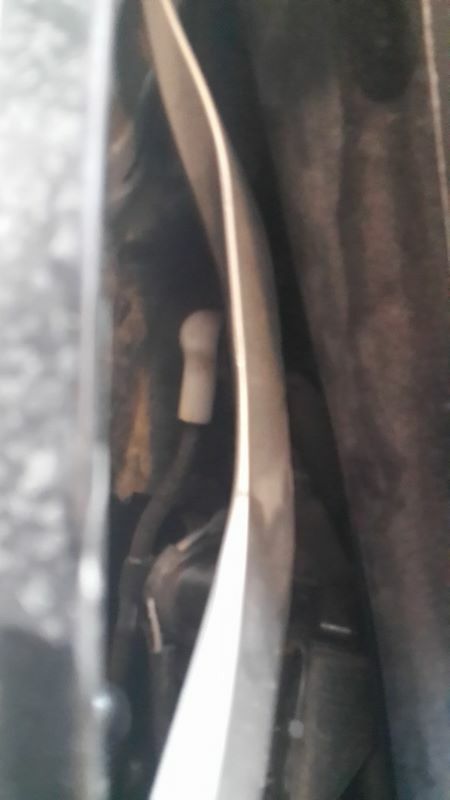 When I lowered the roof there was some "cracking noises" so I think the new hardware and push rods are now showing up the lever being bent out of shape and the roof is now also fouling on the cover when trying to fully open at the drivers side and not the passenger side which has the bent lever? Sounds like you are still making progress, but not quite there yet. The V-levers are supposed to be absolutely flat, with no curve on either side. You may be able to straighten out the bent one but it is very well made and not easy to bend because of the built-in "ribs". 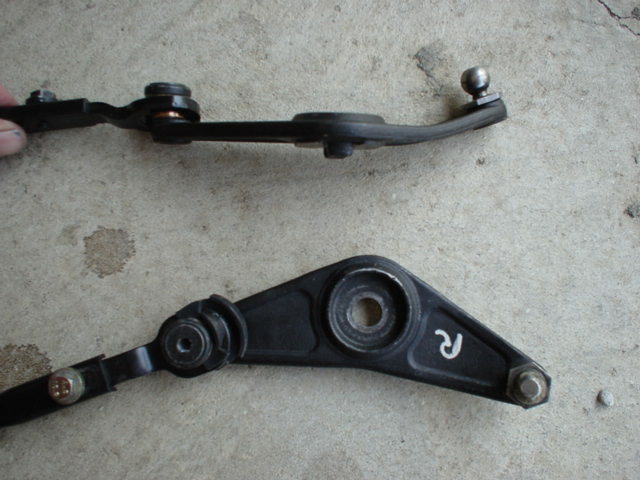 You will have to start out with completely straight V-levers before you can isolate any problem noises or operation. The part numbers that you have listed are all correct, but it appears that for the 987 there is a cut-off with a serial number (according to build date) between the transmission part that ends in "00" and "02". The Porsche protocol with part numbers usually provides that the last two numbers in a part number are reserved for indicating an "updated" or "improved" part, and the bigger numbers are the latest part numbers. The three numbers previous to those two always indicate right and left side, with even numbers indicating right (or passenger side in U.S.) and odd numbers indicating left (or driver side in U.S.). So, for example, part number 987 561 180 02, has "180" indicating it's for the right side, and "02" indicating it's the latest or most up to date part. However, in this case, as I indicated above, there may be a difference depending on the build date of the car. You could check the part numbers for the convertible top double relay and for the electric motor for the 987 and, if there is only one part number for each of them, I believe that either one of the transmissions would work properly. Remember that there are two microswitches INSIDE the left transmission and that's the only place where there might be a difference. 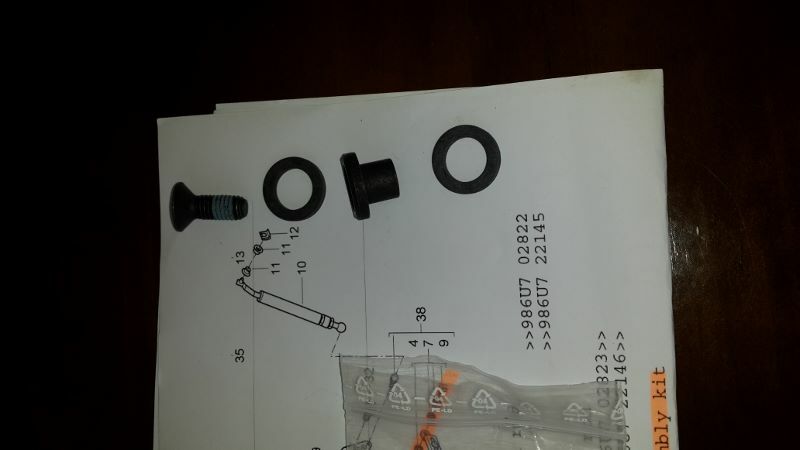 My best guess is that there is no difference between the "00" and the "02" parts for practical purposes and that either one will work, but I'm not 100% sure. Maurice, I finally got some spare time to work on the roof, we removed the bent lever (picture attached), but then I had to call in some additional help to get the top fully synced at both sides and we did manage to get the top fully closed with everything level and cycled through opening and closing the top numerous times to ensure it all worked as per attached picture. However about 4 days after this I went to open the top and it again did not fully close and is sitting higher at the passenger side than the drivers side as can be seen in the attached pictures, any idea why it has gone back out of sync? Will try to get take a closer look after Xmas, but wondered if there is anything we have missed? I replaced the levers, push rods and all the associated hardware with new parts. I'm wondering if you have made any progress. when the roof is up it is not sitting flush with about a 10mm gap any ideas?